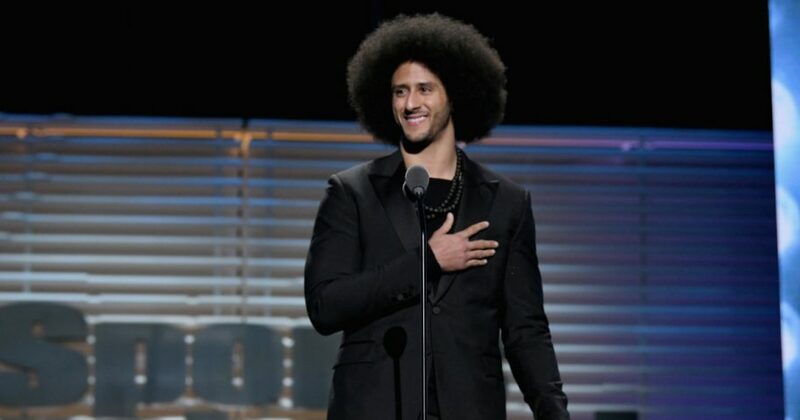 Harvard University has included activist and former NFL quarterback Colin Kaepernick as among eight honorees to be recognized at next month’s Hutchins Center Honors. He will receive the W.E.B. Du Bois Medal, described by the university as its “highest honor in the field of African and African American studies,” at the event in Cambridge on Oct. 11. “The Hutchins Center Honors celebrates the innovators and trailblazers who seek, each in their own way, to nudge the arc of history toward justice,” Harvard wrote in a news release announcing the honorees. On the 150th anniversary of civil rights activist W.E.B. Du Bois’ birth, eight individuals will receive the award named in his honor. They include comedian and actor Dave Chappelle, philanthropist Pamela Joyner, physicist Shirley Ann Jackson, businessman Kenneth Chenault, psychologist Florence Ladd, artist Kehinde Wiley and activist Bryan Stevenson. “The medal honors those who have made significant contributions to African and African American history and culture, and more broadly, individuals who advocate for intercultural understanding and human rights in an increasingly global and interconnected world,” the university wrote. Harvard cited Kaepernick’s philanthropy among the reasons he was selected to receive the honor. “Kaepernick has pledged to donate $1 million to ‘organizations working in oppressed communities,'” the university wrote. Do you support Harvard's decisions for this year's honorees? Harvard also lauded his recent endorsement deal with Nike, which will allow Kaepernick to further fund such civil rights work. The Nike endorsement sparked both praise and criticism when the first ad aired earlier this month. After prompting an initial slip in the venerable brand’s stock price, subsequent reports indicated that Nike saw a pronounced boost in sales over the days that followed. Some critics, including President Donald Trump, disapproved of Nike’s decision to partner with Kaepernick, who first rose to national prominence for his pregame demonstrations against racial inequality and police brutality. Some former Nike customers took their displeasure out on their own sneakers by setting them on fire and sharing the footage on social media.